Welcome to your New Zealand event page. The databases and websites below are ones that will be most helpful for your research. Use a simple keyword or subject search to find your information. You will still need to asses all websites against the CRAP test. Papers Past is a valuable website for original newspapers articles written between 1839 and 1945. Your search may only elicit a headline - click through to the actual article. The Encyclopedia of New Zealand. Use keyword searches for best effect. New Zealand History Online - use keyword searches for best effect. Carrot2 is an amazing clustering search engine. Once you have typed in your keyword search, click the FOAMTREES tab for a visual representation of your results. When you click on each cell, a new list of topic-grouped websites will appear. Go to: http://www.teara.govt.nz for information on this topic. Search 'Bastion Point'. 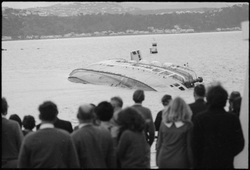 Go to: http://www.nzhistory.net.nz for information on this topic. Search 'Bastion Point'. Go to: http://paperspast.natlib.govt.nz for information from original newspapers. Search 'Bastion Point'. N.B. On some articles, only the headline appears and you have to click through to the article. Go to: http://www.teara.govt.nz for information on this topic. Search ''Springbok Tour'. Go to: http://www.nzhistory.net.nz for information on this topic. Search 'Springbok Tour'. Go to: http://paperspast.natlib.govt.nz for information from original newspapers. Search 'Springbok Tour'. N.B. On some articles, only the headline appears and you have to click through to the article. Go to: http://www.teara.govt.nz for information on this topic. Search ''Wahine shipwreck'. Go to: http://www.nzhistory.net.nz for information on this topic. Search 'Wahine shipwreck'. Go to: Christchurch City Libraries for their factsheet. Go to: http://www.teara.govt.nz for information on this topic. Search 'Gallipoli and campaign'. Go to: http://anzac.govt.nz/gallipoliguide/ for a very good map! Go to: http://www.teara.govt.nz for information on this topic. Search 'Hawke's Bay Earthquake'. Go to: http://www.nzhistory.net.nz for information on this topic. Search 'Hawke's Bay Earthquake'. Go to: GeoNet for a very good information and some images. Go to: http://www.teara.govt.nz for information on this topic. Search ''Mount Tarawera Eruption'. Go to: http://www.nzhistory.net.nz for information on this topic. Search ''Mount Tarawera Eruption''. Very valuable resource for NZ events and people, including images and other resources. This is part of the Government-provided site Te Ara. Great overview. National Library Oral History site. Christchurch City Libraries has an Aotearoa NZ collection that is currently housed in the Manchester Street branch. Although it is not the full collection, you may be able to go into this and have a browse of their collection. they may have the primary sources you need. This is a database of pictures from the National Library Collection. The index lists information about articles published in over 400 New Zealand newspapers, magazines and journals). Where there is no online access to articles most of the journals and newspapers indexed can be either seen at your library or the National Library. If you are a school student or teachers, you can request articles from the Library. Click here for info on how to order an article by fax or post. Click here for info on how to order multiple articles by fax or pot. Use the search functions to find item and click 'Add to Shortlist'. 'Select the intended use' and fill in the online form. A quotation will be sent once the request is processed for you to confirm your order. Over 25,000 cartoons (originals and copies), from the 1860s to the present. The great majority are by New Zealand cartoonists. They cover politics, social issues, economics, sport, culture, history, international issues, etc. Topics include life in New Zealand in general and how New Zealanders view the world. You can view cartoons in person or on line. You can search the catalogue. Copies are $20 or more BUT if you are using cartoon images for personal use (e.g. homework, private research), you are welcome to use the material on this site for purposes of private study or research, criticism and review. No further permissions are required for private use of images, however full citations and acknowledgements should be included wherever the images are used. An example is here. Use the search function to refine your search. 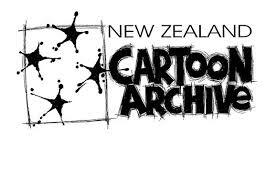 The collections of predominantly New Zealand film and video dates from 1895 to the present day. If your search has a local flavour, you may find some connections on this site. If it isn;t local, search the web for other museums around the country. Try Te Papa also. Oral History site for NZ. Lots of links to other sites too.